WILLIAM R. SEALE is Of Counsel with the firm of Wimberly Lawson Wright Daves & Jones, PLLC, which he joined in 1982. He received his Bachelor of Science Degree in Industrial Engineering with High Honors from the University of Tennessee and his law degree from the University of Tennessee. 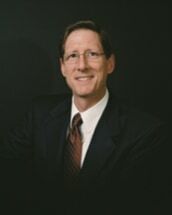 He practices in the areas of labor and employment law, with a particular emphasis on NLRB defense work, union avoidance, collective bargaining, contract administration, Equal Employment Opportunity, employee relations, wage and hour, affirmative action, ERISA, workers' compensation, occupational safety, and arbitration law. He has served as an Editor of the Tennessee Bar Association, Labor Law Section Newsletter, and is a member of the Labor and Employment Law Sections of the Tennessee Bar Association and the American Bar Association. Prior to entering private practice, Mr. Seale was Judge Advocate in the United States Marine Corps from 1977 to 1981 and a Special Assistant U.S. Attorney from 1979 to 1981. He is Vice President of Management Resources, Inc. Bill is a member of Honorary Societies of Tau Beta Pi and Alpha Pi Mu. He served on the Board of Directors of K.C. Home of Morristown, Inc. and is currently on the Board of Directors of Young Life and Fellowship of Christian Athletes. Bill is a member of the University of Tennessee Letterman's Club. He has also been selected for Best Lawyers in America. He has an AV Preeminent® Rating - which is the highest possible rating given by Martindale-Hubbell, the leading independent attorney rating entity. Bill is currently General Counsel of Bush Bros., Inc. headquartered in Knoxville, Tennessee.